The observation of everyday events in detail gives the protagonist life a a very 'mundane' feel, too 'mundane', it doesn't feel quite right and there builds the tension. The man who lives above him has a much more eventful life and the small details of the protagonist life becomes almost desperately sad by comparison. The writing is compelling, I could almost see where this story was going and I didn't want to go there anymore than the character did, but I was drawn to see the events to their conclusion, as he was. If you like a thrill and a chill factor you will love this book. If you scare easily its not for you. I found is disturbing and therefore give the author full credit for a job well done. This is an excellent thriller! It will keep you guessing until the end. A very well written book, draws you in, takes you with the protagonist to places you would rather not go. An interesting view of something is all to common in the papers today. I really enjoyed this story. It was well-conceived, and quite unpredictable; I got to at least 84% through it before I started to realise how it might all end, and I found that ending quite satisfying indeed.It concerns a young man called Paul, who moves into a new flat and meets a guy called Gavin. He and Gavin become quite good friends, and spend their time drinking, smoking weed, and getting laid.It's not very well edited though, with nary a comma in site, and mixed up words all over the place (affect vs. effect, stuff like that). It's also written in slang, which is completely understandable, because the narrator is British, but there were times when I didn't completely understand what certain things meant... which was compounded by the aforementioned confused words and lack of punctuation because I ALSO didn't immediately get what was intentional, and what was an error.That being said, it's a great psychological thriller, and reminds me somewhat of Fight Club (oh dear, I hope THAT little bombshell doesn't give away too much for you). 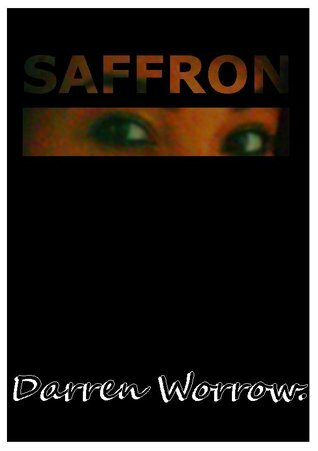 If you like that sort of thing, you're sure to like Saffron! Darren Worrow - I was born in the Fling Dynasty of a small planet known as Duncan in a galaxy far, far away. My humble parents, believing the planet was on the eve of destruction, sent me off as a baby in an egg-shaped craft and I landed here on planet Earth in the spring of 1973. I was later to discover through a cavern of ice, as you do, that the planet was fine all the time and it was just a particularly nasty prank by my father’s mates down the pub.I landed in a deep jungle and was raised by a company of wolves, learning to live as they did. Until one day when a naughty tiger with a very English accent came along and I was whisked away by a black panther and a jazz singing bear to a man-village. It wasn’t the tiger I was worried about; it was the American cartoon producer following on behind him.It was at the village that I won a golden ticket to visit a chocolate factory where I fell into a river made of chocolate and was sucked up a pipe into a fudge room; happy days. It could have been worse; I heard some other kid turned into an exploding blueberry.I lived at a coastal Inn for a while until an old sailor paid me a penny to look out for a legless seadog. In finding him I discovered a treasure map and was promptly whisked away by a sailor to a Caribbean island where I got into a bit of a rumble with some pirate radio DJ called Captain Tony Blackbeard. It was that or another holiday in Clacton.At eleven I was taken away by a man with an uncanny resemblance to actor and comedian Robbie Coltrane to a school for wizards where I had to battle it out with some bald blue bloke who killed my parents, said he was a lawyer working for an author called JK Rolling or something. That wasn’t as bad as the frog flavoured semolina we had to eat for school dinner.As I grew up and went to college I decided to give my favourite toys, a cowboy and a space ranger, away to a snotty girl from around the corner, nobody told me the cowboy was really Tom Hanks otherwise I would have given them away a lot sooner.So, other than the time I was bitten by a rare spider and found myself with special arachnid powers which I used to defeat an evil leprechaun, I left college and it was all very uneventful.Nowadays I have settled down to a family life and enjoy writing books, striving to be more like Bruce Bogtrotter every day. People say “where do you get your ideas from?” I tell them I have no idea, I've had such a boring, everyday life.If you really can be bothered to know more about me why don’t you visit my website at darrenworrow.webs and find out even more honest facts?